Indian scientists have demonstrated that wastewater from some of the dirtiest industrial processes can be turned into a carbon source for preparation of energy storage materials. 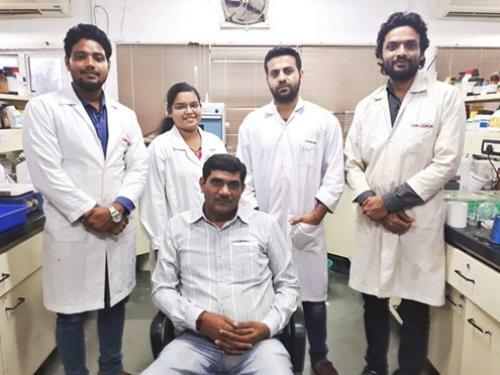 Researchers led by scientists from Bhavnagar-based Central Salt and Marine Research Institute (CSMRI) have used sugar and distillery industry waste to develop functionalised carbon material which has energy storage properties. Such electrochemical material can be used to make electrodes, sensors and supercapacitors which find applications in digital devices. In a two-step process, spent wash from a distillery was acidified to bring its pH down to about 2. The acidified solution was stirred overnight at room temperature, resulting in precipitation of solid mass or sludge. This solid mass was then sun-dried and calcined at elevated temperatures to generate functionalized carbon material which has energy storage properties, scientists explained. Water-intensive industries like sugar and distilleries produce huge amounts of liquid and solid wastes including biomethanated spent wash which was used in the study. “Instead of dumping into landfills and generating leachate, solid sludge can be activated with a metal precursor and calcined at elevated temperatures under inert atmosphere. The inherent presence of sulphur and nitrogen containing impurities in the sludge acts as dopants and in combination with the metal precursor it can provide an alternate charge storage mechanism to the material,” Dr Ramavatar Meena, one of the co-authors of the group told India Science Wire. The study results have been published in Journal of Hazardous Materials. The sulfur and nitrogen impurities in the sludge in combination with a metal precursor impart ‘pseudocapacitance’ to carbon material. “Electrochemical studies have shown good charge-discharge cycles with almost 100 percent capacitance retention even after 1000 cycles,” Dr Meena added. After recovery of sugar from sugarcane juice in an evaporation process, the residue left is molasses which is fermented in distilleries for bio-ethanol production. For every litre of ethanol produced, 12 to 14 liters of water is consumed. This results in high quantities of waste in the form of spent wash which is an environmental hazard. The methodology developed can be used for wastewaters with high ‘total organic carbon’ content generated by other polluting industries such as tanneries. Besides extraction of carbon material, a combination of adsorption and low pressure reverse osmosis (RO) can be used to further treat wastewater making it reusable in sugar industries as well as for irrigation purposes. “Our aim is to reduce dependency of sugar industries and distilleries on fresh water by making them self-sufficient in terms of water consumption,” researchers said. Studies are also underway to recover potable water from this highly contaminated wastewater.